Immigration activists led a march from the Little Village and Pilsen neighborhoods to the Congress Center in Chicago on Tuesday, May 15. The activist group was joined by members of Occupy Chicago. Rev. 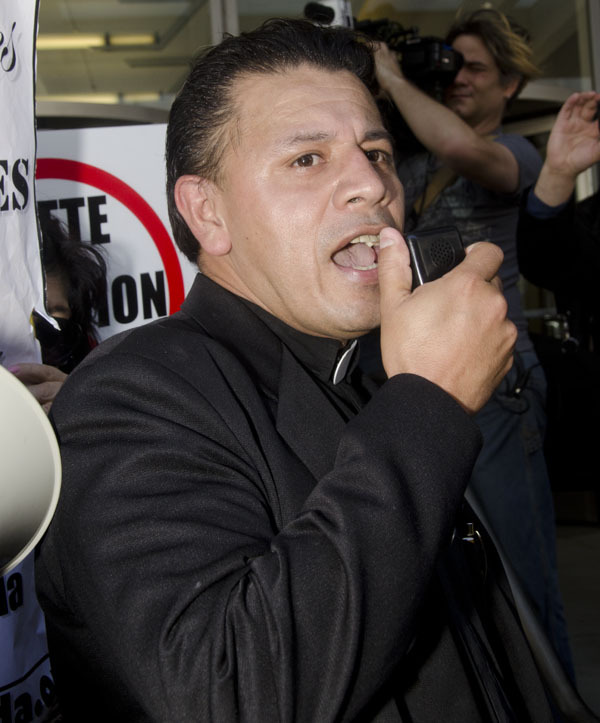 Jose Landaverde, pastor of Our Lady of Guadalupe Anglican Mission, and Emma Lozano, head of the Familia Latina Unida/Centro Sin Fronteras organization led a sit-in at the courthouse entrance. The sit-in resulted in the arrests of Landaverde and Lozano.